This sophisticated ring is crafted from platinum and presents shoulders claw-set with dazzling diamonds. 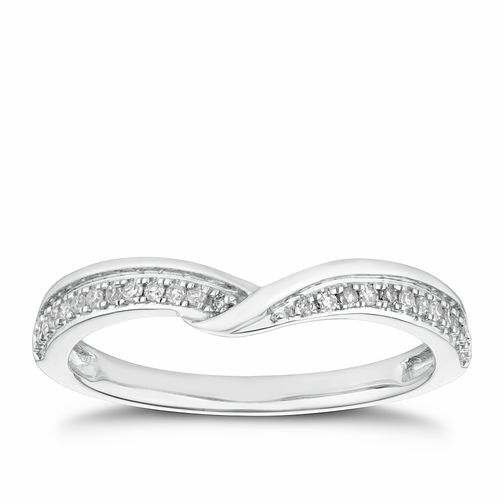 The focalpoint of this diamond ring is a contemporary crossover twist. The total diamond weight of this ring is 0.10ct. Celebrate love with Ernest Jones!